It’s gigantic! 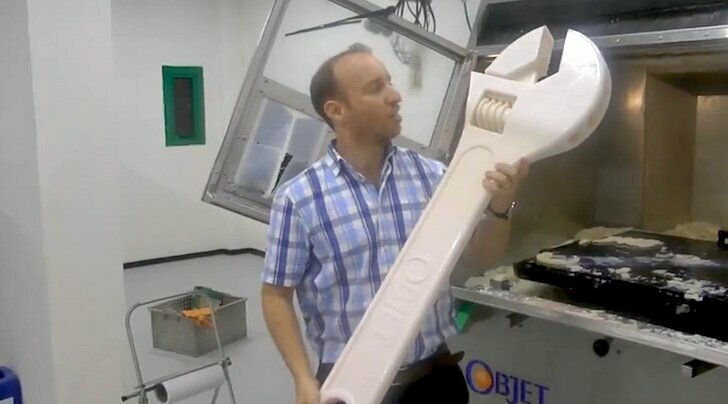 Here’s the biggest ever 3D printed adjustable wrench. Talk about exponential acceleration of technological advancement! The hottest 3D printing video ever is the fully functioning, 3D printed adjustable wrench on a ZCorp printer. It’s probably blown more minds of those new to 3D printing than any video has. No comparison. It’s got me wondering…what the hell is the Objet2000 going to print for us someday?